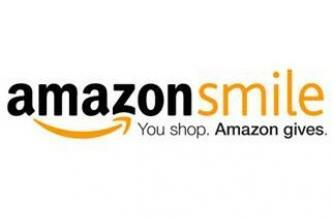 Shop at smile.amazon.com and choose American Radio Relay League Inc. (ARRL) as your charity. Every purchase you make at AmazonSmile, Amazon will make a contribution to ARRL! If you already shop on Amazon, or if you’re looking for the perfect gift for a family member or friend, we invite you to shop at smile.amazon.com and choose American Radio Relay League Inc. (ARRL) as your charity of choice. With every purchase you make at AmazonSmile, Amazon will make a contribution to ARRL which allows us to extend our reach in areas of public service, advocacy, education and membership. We hope you will take the opportunity to support ARRL and Amateur Radio with your eligible purchases on smile.amazon.com today! AmazonSmile is the same Amazon you already know, with the same products, prices and service. Visit smile.amazon.com and login to your Amazon account (if you’re new to Amazon, you’ll need to create one).